#DWPDX: What Buildings Define Portland? A Design Week event featuring a city-planning powerhouse and Portlandia's art director looks at how bricks and mortar make a city's identity. What building – existing or long-since demolished – defines our city to you? In Sheepscot Creative’s event Portland Past Present Future: Our Architectural Narrative, learn about Portland’s history and its vision of the future through an architectural narrative, with panelists such as Joe Zehnder, chief planner of the city of Portland, Tyler Robinson, art director of Portlandia, and Reiko Hillyer, historian from Lewis & Clark College, among many others. By exploring these questions with experts who specialize in city planning, built environments and how Portland is represented in popular culture (cf. Portlandia), Weich hopes diverse perspectives and conversations will open the minds of the audience to new ways to approach familiar ideas. 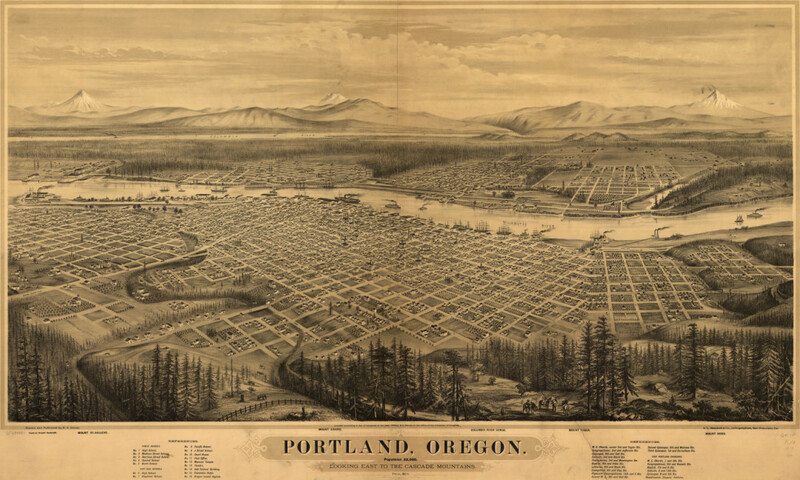 Audience can look forward to gaining a new appreciation of stories that are written into Portland’s landscape – not just the buildings that are currently around, but also buildings that will be constructed and preserved for future residents. Post a photo or a few short sentences of a building that says "Portland" to you in Sheepscot Creative’s website to stand a chance of winning one of two $30 gift certificates to Mississippi Studios.